Go from the Art Deco District to the Everglades National Park on this 4.5-hour entertaining and educational guided tour. Leave wild South Beach behind for another kind of wild: flora- and fauna-loaded Florida Everglades. See alligators, turtles and all manner of birds in their natural habitat. Meet in the middle of South Beach's Art Deco district and then get whisked out of Miami to the wild Everglades. Learn about the flora and fauna of the Everglades from the guide on this 4.5-hour tour. 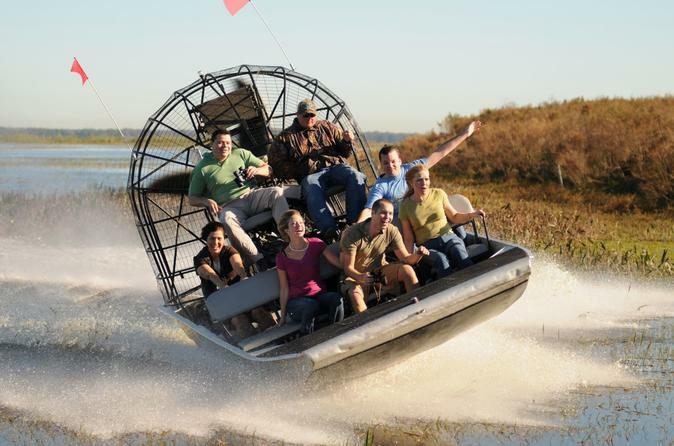 Once there, hop on an airboat and skim the water, zipping around a 1.5-million-acre subtropical ecosystem. See indigenous wildlife including alligators, birds, snakes and various reptiles before heading to an alligator farm, an area that is literally crawling with the continent's largest reptiles. See caimans, crocodiles and other species and learn the difference between them. You will also learn about how the ancient American-Indian captured alligators. Finally, make the comfortable drive back to Miami, getting dropped off where the tour began.